‘Wall Street’ star says cancer is worse than was originally expected. OSCAR-WINNING actor Michael Douglas has revealed that his cancer has spread. Douglas was a guest on last night’s Late Show with David Letterman on CBS, and said that his cancer has spread beyond the original tumour and is more advanced than was originally feared. “Born in New Jersey, the son of Hollywood actor Kirk Douglas, Michael Douglas first came to fame in the 1970s cop series The Streets of San Francisco. He produced the multi-award-winning One Flew Over the Cuckoo’s Nest and won the best actor Oscar for his turn as rapacious trader Gordon Gekko in Oliver Stone’s 1987 drama Wall Street. Email “Michael Douglas confirms spread of cancer”. 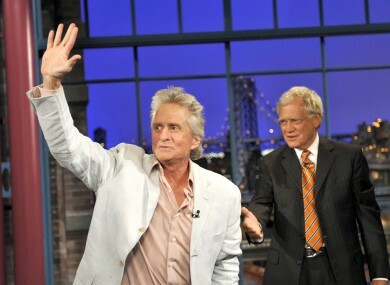 Feedback on “Michael Douglas confirms spread of cancer”.